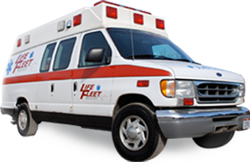 In our ongoing effort to continually update our equipment, LifeFleet has ordered eight new ambulances. Purchased from Meyers Equipment in Canfield, we expect delivery of the first vehicle by the end of May with the remaining arriving in June. May 18 will be set aside as Emergency Medical Services for Children (EMSC) Day! Thank you for providing this very helpful service. I would like to thank your employee Joey who worked Christmas Day and transported my mother. He was very courteous, helpful and very kind to my mother. He is a very special employee.